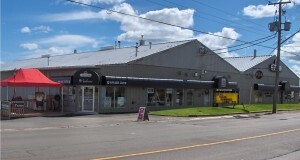 Lawsons in Moncton, New Brunswick has been in business since 1976. 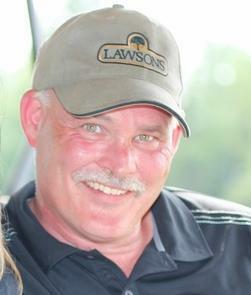 Scott Toussaint talks to us about how he helps meet the needs of consumers and builders in the Greater Moncton area. Tell us about how you approach the hearth industry. We have a home appliance store, mattress store, custom kitchen cabinet design department and a hearth store, all under one roof, which allows us to interact with builders and individuals. We also offer cross promotions in store. For example, if you buy a fireplace, you’re eligible for a large credit in any of our other departments. We have several ongoing promotions, as well, on cords of wood and pellets. But what really sets our store apart from others is our attention to detail and service. We help the customers define what they want. Asking the right questions and being sincere is the “Lawsons Way” of doing business. Our installation crews are also a large part of our success; they provide exceptional service and are very considerate of our customers. What is your favourite hearth product? My favourite product to sell is, without a doubt, the pellet stoves from Quadra-Fire. They work exceptionally well and are priced very competitively. Heat&Glo is also one of our most popular product lines, due to its look and ease of use and installation. The process of picking an appliance can be a tough one, to say the least, as there are so many choices available. The customer must trust the store they’ve decided to purchase from. My advice would be to buy a brand name product and choose a reputable retail store. Too often, customers buy from someone who works out of their vehicle, and then they’re left with no service. What do you like to do when you’re not at Lawsons? My kids are my first priority, and I always like doing things with them. I also have a motorcycle and travel around New Brunswick as much as I can. I have a 21-foot boat that I get lost on as much as I can as well.